Nowadays the works i´m developing are mainly based on the fusion between engraving technique and photography. Starting from pictures already printed, I involve them into different engraving techniques, impressing on them different molds. The impressing techniques I’m using to are based in transferring and re-levering. Another works I perform belong to a mix of different artistic disciplines, getting into the performatic engraving, performing sets and street art categories. The thematic that guides my whole works is my personal point of view about human behaviors in society; how the society we belong to, limits our natural development and thinkings by politics, religion, real and false fears, our sexuality, social and economic state, identity, the death…vital matters. I started in 1988 being trained as an engraving artist and printing in different studios and publishers.I was working and collaborating with different artists like poets,philosophers and critics,in graphic projects. 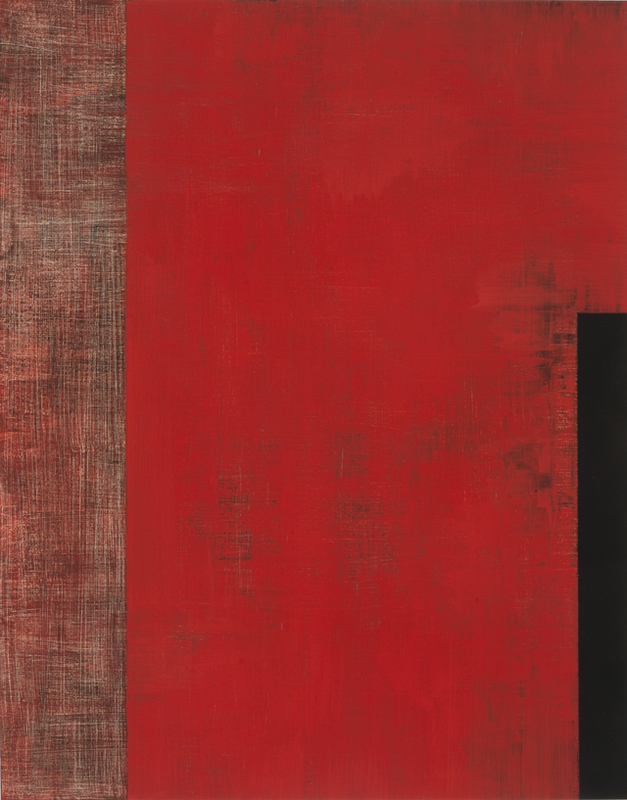 All these different experiences along my artistic career have given to me the great chance to find out my own personal way of working to develop myself into the contemporary art using and mixing techniques, testing new ideas and methods, becoming a multi-disciplinary artist. My study is like a part of my everyday routine.It is the place where i I spend most of my time, where i develop every new artistic project from the first idea until the final result, from the beginning until the end. So everyday, in the morning and in the evening i have established to myself a working discipline so it is the best way for my creative processes to flow and develop different and new ways of creation. There is a huge necessary parallel work i have been performing at every step along my artistic career: you have to work hard and a long time to find out the best way to spread internationally your work.This suppose to me a whole exhaustive searching of new and interesting exhibition projects, calls, new openings, competitions…Opportunities like this, the 365ARTIST/365DAYS gives to contemporary artists like me, and from all around the world, the chance to create a new opening way and get in touch with the international scene, abroad and out of Spain (in my case). I use to be at my study in the morning and in the evening almost everyday per week.Creating, developing, planning…on my own way…That´s why both of the sittings permit me positive characteristics to work. 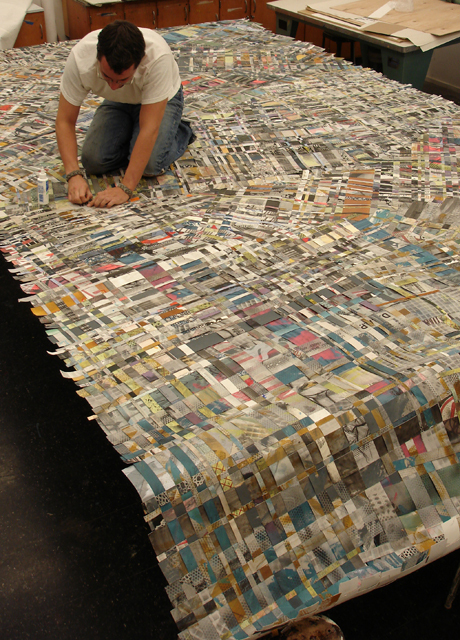 I´m used to flow and find out new ideas by the way i´m working on…so i get the inspiration. The progress that has been my work in the last five years is above all on the subject of my pieces, getting closer to the realm of the social and human behavior. I am also in constant evolution in the pursuit of relationship with other artistic currents recorded as performative engraving, installation, street art etc. The firm idea to use everything offered by the engraving and printing in the field of experimentation to make it available not only for the traditional uses but in a new artistic way :the idea of unique pieces as the results of merging them, one by one, with other artistic disciplines.This is my encouragement. Since I started my career like a apprentice i have been working hand to hand, in touch with artists, philosophers, poets, critics etc… this has helped me to develop both my training and my evolution as an artist. All the people I’ve shared my lifetime had improved my life to become the human being i am, involved in the “here and now” of the society around you, around me, around us. And this´s the central line not only in my artistic works but also in my life. In my case I have the luck that external activities conducted promptly indirectly have to do with my development as an artist. In the delivery of courses and workshops engraving and implementation issues as coach of graphic work for other artists. Another of my interests in the art world is music, in my case experimental electronic music, a field in which I have developed some compositions for performance pieces, short etc. Santiago Roldan Madrid 1973. 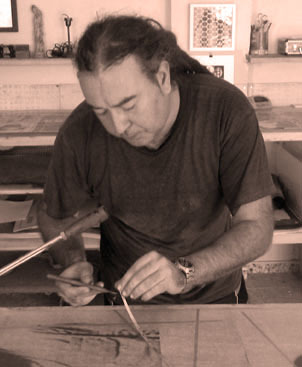 Starts his training as an engraving in 1988 at different traditional engraving venues and editorial engraving in Madrid. His work mixes photography and engraving uses on them to get unique Works that are into the performatic engraving area, installation and street art. His Works have been shown at museums and art galleries in the United States, Holland, England, France, México, Costa Rica, Italy, Netherlands, Hungary, Brazil, Peru, Turkey, Morocco and Spain. 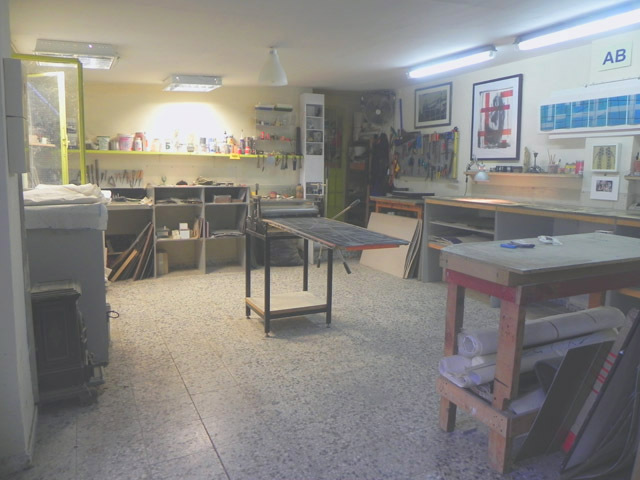 This entry was posted in Printmaking and tagged Creation, engraving, engraving-installation, Madrid, matrix. Bookmark the permalink.